Pretty length of single sided bunting that I have made with fabric in soft shades of pink and grey fabric and ivory cream lace. 1 Set Garland with 2 ropes. Good decoration for party. Make the party more cute and enjoyable. Lightweight and e asy to hang them on the wall, above the table, in the hallway and on the tree, etc. Enable your kids enjoy in party very much. 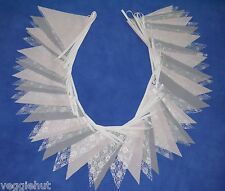 1 Pc Garland. Material: Felt. Size: Head width 12.5CM, Letter height 17-21.5CM. As different computers display colors differently, the color of the actual item may vary slightly from the above images. 1 Set Garland. Material: Felt. Letter Size:17-21cm. As different computers display colors differently, the color of the actual item may vary slightly from the above images. The Floral and Plain colour flags are made of a lightweight poly cotton material which is only single sided, although the pattern can be seen through on the reverse, just not as bold. These are sewn onto strong cotton tape with ties on the ends. 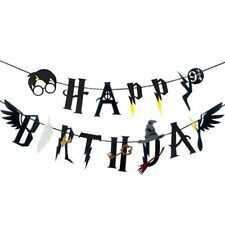 This bunting banner makes a lovely decoration. Ribbon length: Approx. Material: Non-woven fabric. Color: As pictures. 1 x Bunting. Length: 2.4M(11 flags). Fashionable brown plain triangle with floral lace triangle design, sweet and stylish. We are always making efforts to providing better products and service. if you feel satisfied with. 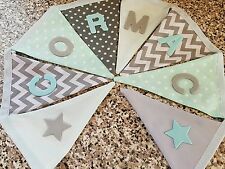 HANDMADE PERSONALISED BUNTING. 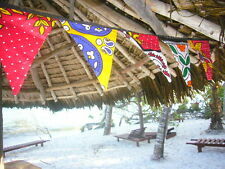 THE LENGTH OF THE ENTIRE BUNTING WILL DEPEND ON THE AMOUNT OF FLAGD YOU HAVE. CAR, PLANE, LORRY, TRAIN, ROCKET, MOON&STARS, PRINCE CROWN, VW CAMPERVAN, ANCHOR, BOATS. I USE FOAM FOR THE LETTERS AS IT GIVES BETTER DEFINITION THE COLOURS I HAVE ARE LISTED BELOW. Item : - Mandala Bunting With 16 Flags. Made with Best Cotton Fabric Screen Printed Mandala Bunting. 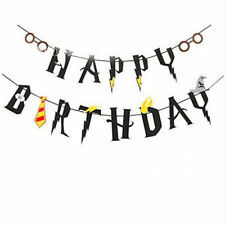 You Will Receive Assorted Color & Design Flags Bunting. Individual Flag-. Each Flag Is Double Sided, With Each Layer Being Stitched Together. 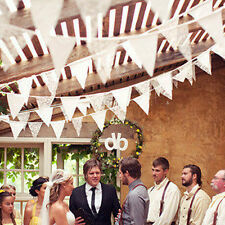 Fabric bunting Price per meter. Please change the quantity to the number of meters that you would like to buy. 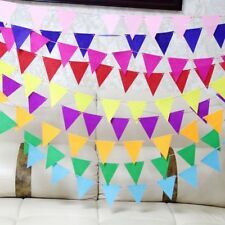 Please send me a short message to let me know the colour/s of your bunting. Available in pinks, greys, blues and greens. This listing is for double sided flags, sewn into bias binding. Ideal for home decor, kids room decor, baby showers, baby gifts, weddings, garden parties, birthday celebration, etc. Any length and colour can be made. The size of the flags is 18/20 cm and there is 3cm gaps between each flag. There are approx. 50 flags in ten meter of bunting. 1PC x Pennant Garland. Made of linen, lightweight, tough and durable. Material: Linen. Heart pattern design, looking beautiful and eye-catching, increasing romantic atmosphere for wedding. Used for hanging on the walls, doors or windows to decorate your house. HANDMADE BUNTING. I WILL USE THE MOST RELEVANT COLOUR BINDING TO COORDINATE WITH THE COLOURS. COLOUR MAY VARY EVER SO SLIGHTLY AS THEY VARY FROM ONE ROLL OF FABRIC TO ANOTHER. 7 FLAGS ATTACHED TO COTTON BINDING. HANDCRAFTED DOUBLE-SIDED NAUTICAL BUNTING Good Quality Red, White & Blue 100% Cotton fabric with Pirates, Seagulls, Boats etc. Double sided so can be viewed from both sides 11 Flags each measuring " 7" (18cm) in length x 6.5" (16cm) wide Total Length 2 metres Bias binding finish with loops at each end for hanging. Baby Girl Banner. New Arrivals. 2.8m approx. Cash on Collection. 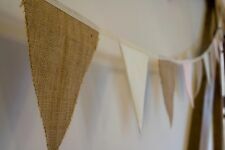 1 x Hessian bunting (13 flags). - Color: Brown burlap white letters. - Total length: Approx 3m / 3.3 yd. 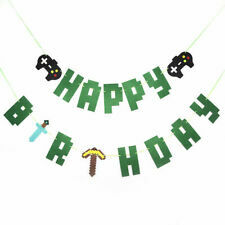 This bunting banner makes a lovely decoration. 1x Easter Banner. For Easter party, garden parties. Ribbon length: Approx. Material: Non-woven fabric. Color: As pictures. Using Ditsy Floral fabric. 6 x 7.7cm. Space between each flag approx.2.5cm. 1 Set Garland/Cake topper. Flag Size : 13 17cm. Material: Non Woven Fabric. As different computers display colors differently, the color of the actual item may vary slightly from the above images. Black Bath & Wall Sealing Strip Self Adhesive Tape Basin Sink Edge CS. Rectangle Cookie Cutter Set with Pastry Ejector Stainless Steel Hole CS. Microfiber Car Wash Sponge Vehicle Care Washing Brush Pad Cleaning Tool CS. 13 feet long. Flags and tape are cotton. Has 11 rectangular flags, each one is 24 x 15 cm. 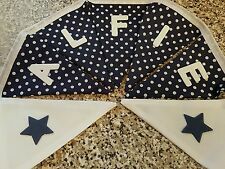 Handmade blue and white clouds fabric bunting, double sided so the pattern can be seen however you hang it. Handmade kitchen herbs fabric bunting, backed with a coordinating chevron fabric. Using Next Retro Floral Fabric. 6 x 7.7cm. Total of 12 flags. Handmade Bunting made from recycled fabric. Flags alternate between white with light grey stars and white with dark grey polka dots. Suitable for Nursery decorations, parties, garden parties, garden decoration. Using Black & Beige Retro Floral fabric. 6 x 7.7cm. Total of 11 flags. Using denim, red gingham and strawberry print fabrics. 6 x 7.7cm. Total of 12 flags.